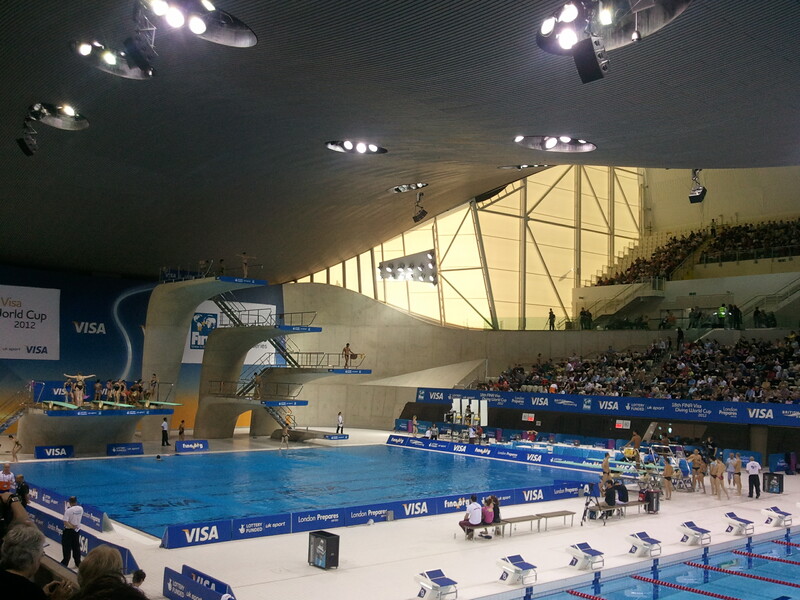 Diving is a minimalist sport. 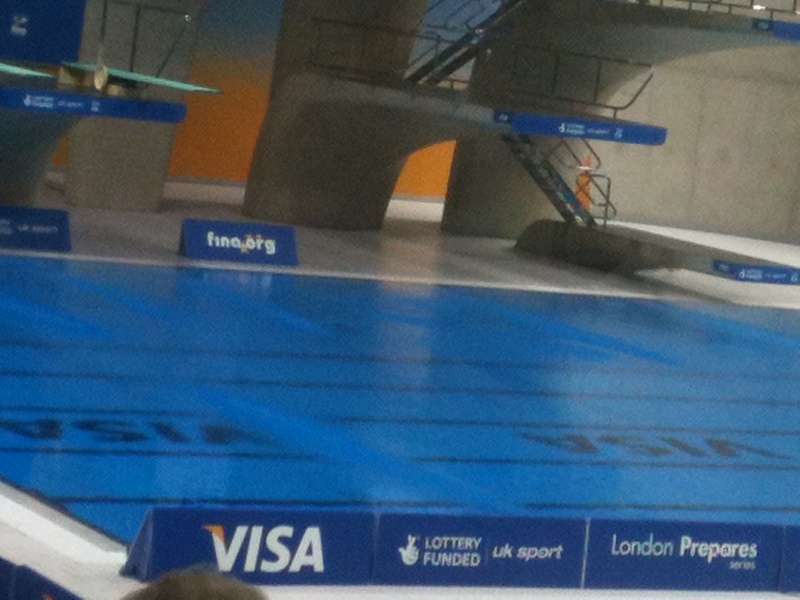 This was our observation as we walked into the afternoon sunshine after the Women’s 3m Springboard preliminaries. It was a contrast to the array of visual spectacle of athletics, say, or gymnastics, where your attention is drawn to multiple sources of stimuli as someone vaults over here or throws a somersault over there. In diving you focus. It’s all over in a flash. Then they do it again. And again. And again. The more you watch something the more you understand it. By the end of Round 1, I could predict the score, more or less. OK, my scores were a bit more than theirs, but I’ve always been a generous marker. And anyway, they discount the bottom two and the top two, so that makes me spot on. The free programme tells you what you need to look for: starting postiion, approach (the run up), take-off, flight and entry. Now, it would strike me that one of these things is way harder than the rest. The flight is actually where they do the impossible acrobatics, twists and turns. Nevertheless, if you see a splash – in the prescient words of Grumpy from last week – they’ve blown it. The building was very good. The programme tells you all about it. 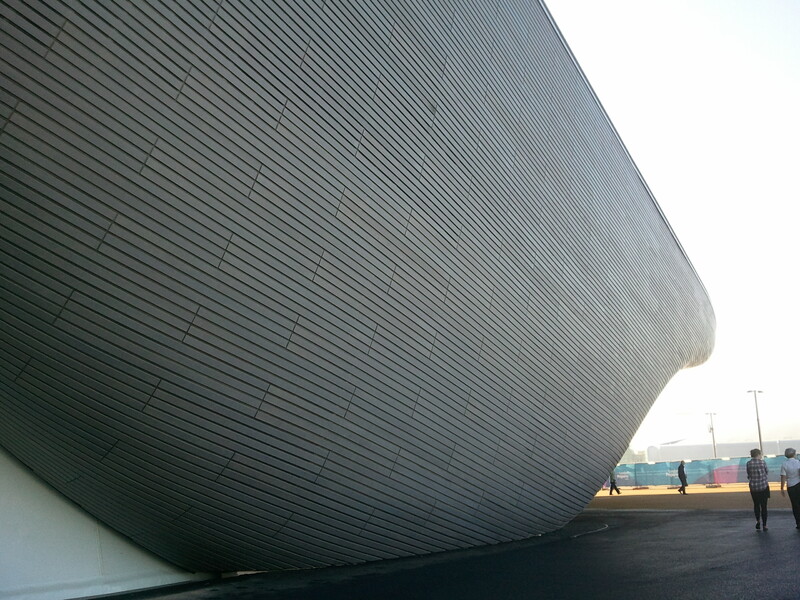 It is designed so that you feel that you are under the belly of the whale. It has been freezing in London for too long now, but the freak nice weather made us feel a bit like we were inside the belly getting a bit too warmed up. Remember that for the Olympics, folks – it is hot in there! Gasping for air and food (Question: when would you actually miss Mcdonalds? Answer: when there is no alternative), we made our way to the surface and back through the gates to the joys of Westfield. No-one body searched us on the way out. Simultaneously, we were put in mind of our trip to the dressage in Hong Kong – exciting for the aficionado, but nothing much happening for us plebs. 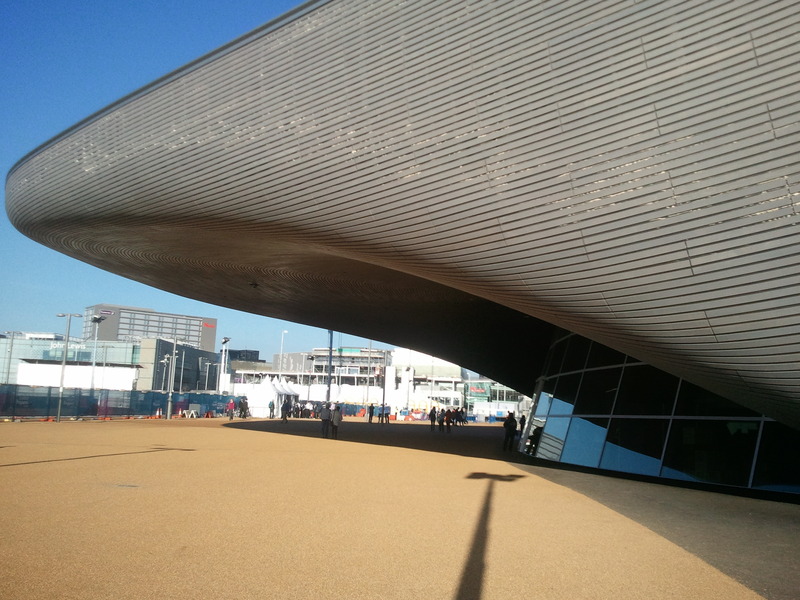 This entry was posted in diving and tagged aquatics centre, diving, london 2012, london olympics, olympic park by Eileen Kennedy. Bookmark the permalink. Well, yes you are right. I was just taking whale-like angles but it was the top photo was supposed to be under its belly!